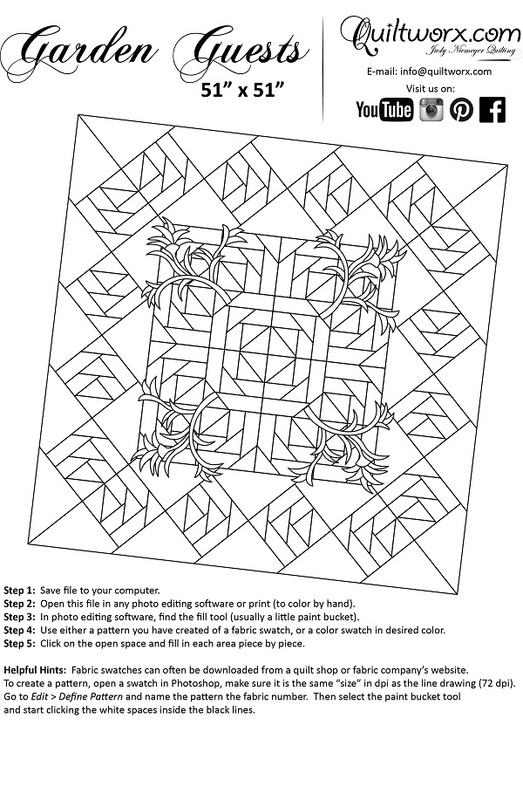 The Garden Guests Wall Quilt is an updated pattern based on an original Quiltworx.com design called the Gooseberry Garden. 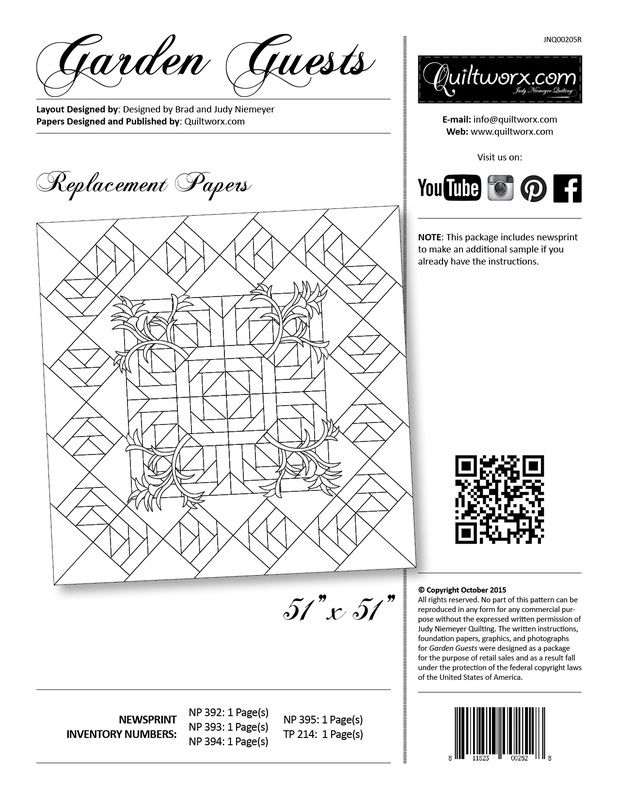 It has been updated to include floating points, Template Layout Sheets for cutting and to remove an intermediate border that made assembly of the quilt a little challenging. 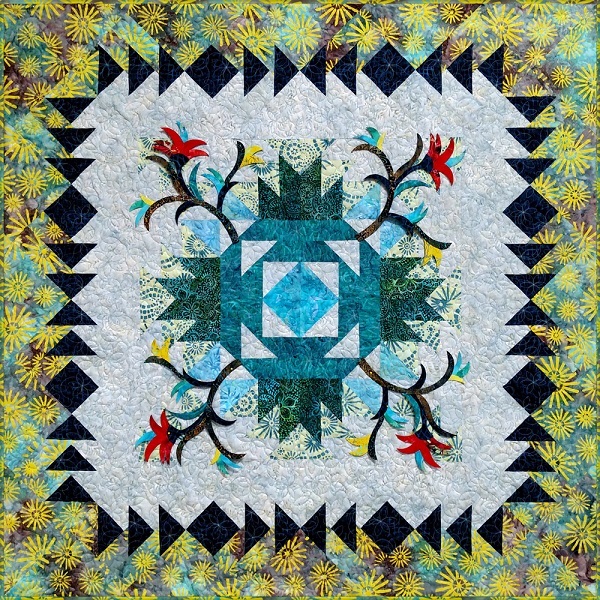 The design has also been udpated with new applique using an Applique Technique based on a product called Stitch-N-Peel. 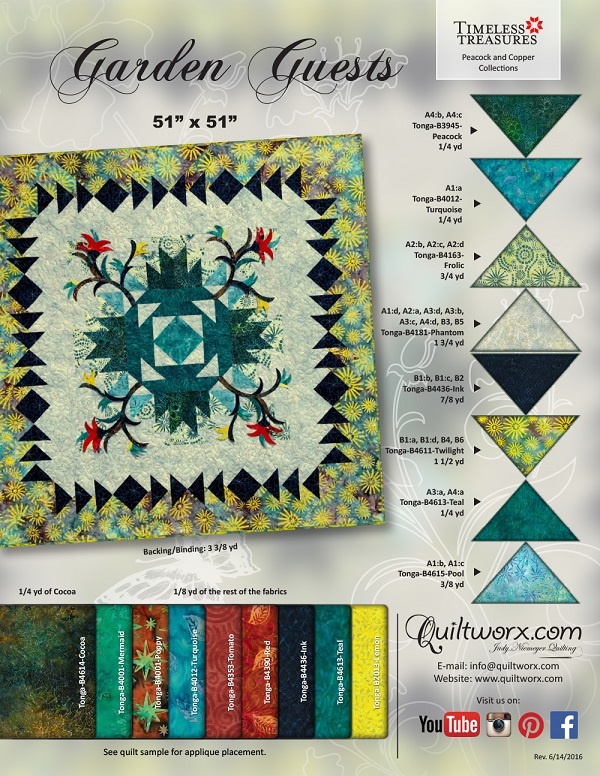 Pre-cut applique stablizer pieces are available for purchase as an applique option from Quiltworx.com, called the Cactus Flower Stablizer Applique Kit. 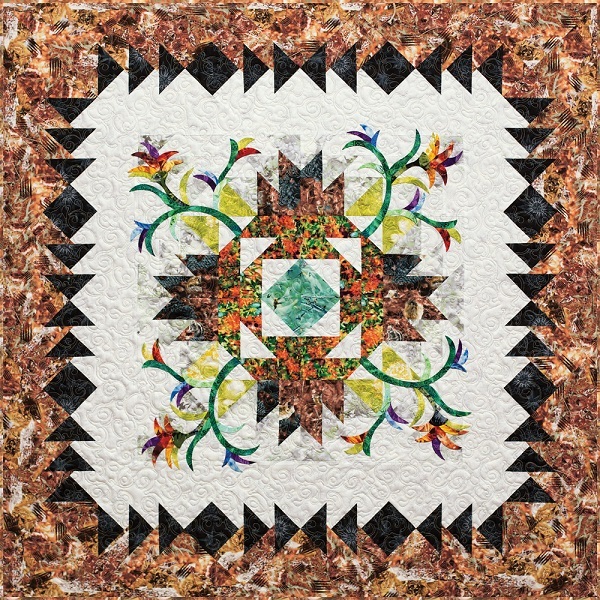 The wall quilt was made using fabrics from Judy and Judel Niemeyer’s latest fabric collection called Wildflowers, from Timeless Treasures. 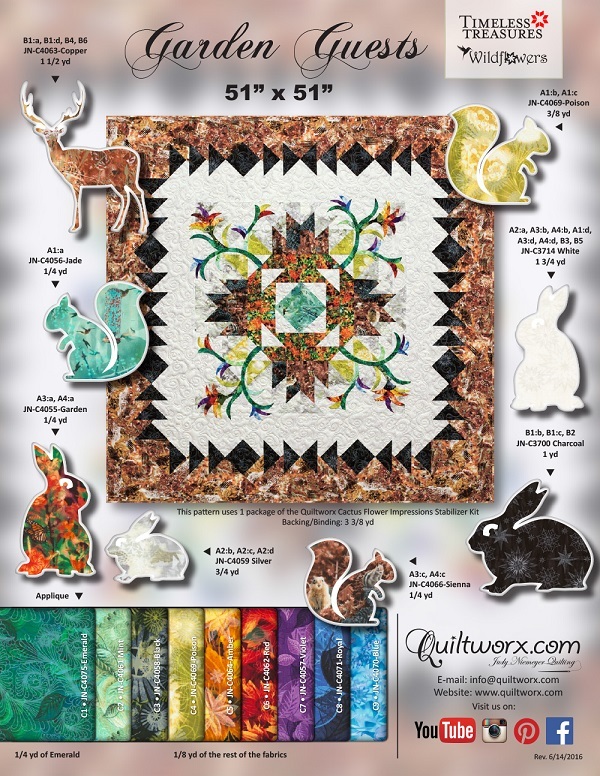 The name was changed to Garden Guests to reflect the use of fabrics that are full of little guests you might find in the garden from chipmunks, to baby deer, to butterflies, hummingbirds, spiders, and prairie dogs!